Hello & congratulations on getting engaged! 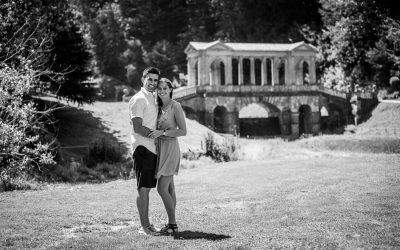 I’m Betty and am a Bath based wedding photographer who loves to photograph LOVE – this includes engagement sessions (sometimes well by surprise! ), creative wedding portraits and full day documentary reportages. I cover Bath, Bristol, Somerset, Wiltshire and Gloucestershire. When I photograph a wedding, I tell the story of the day exactly as it evolves so you can relive the day for many years to come. I frame moments as they happen and captures people’s emotions without them noticing as well as creating fine art portraits that are creative, contemporary and sometimes quirky. I photograph the formal, the informal, the fun, the tears, the shenanigans, the kids. I give my absolute best at every single wedding I photograph, offer loads of planning advice in the run up to the big day and blend in with your guests to becoming part of the wedding day. A selection of photographs including formal portraits, emotional moments and loads of fun. Take a look over my shoulder & through my lens! This behind the scenes video is only 2.59 minutes long! I often try to explain how I work, how I guide the bride and groom into a relaxed portrait session, how I animate groups to achieve fun group portraits. This video is a little look over my shoulder and through my lens at a wedding at the beautiful Matara Centre near Tetbury. It not only shows you how I work but also what photographs came out of those moments shown in the video. I hope that this gives you an insight and makes you excited about your wedding photography! Hi Betty, We wanted to thank you so much for the wonderful moments that you captured at our wedding their are some beautiful artistic shots of us both and everyone has commented what an amazing photographer you are! Thank you also for being so discrete and blending in with our wedding, I’ve really noticed photographers at other weddings but even in the small space at our wedding you worked quietly and carefully capturing such special moments of day. Thank you so much!